Landscape Design and Production Management Company. 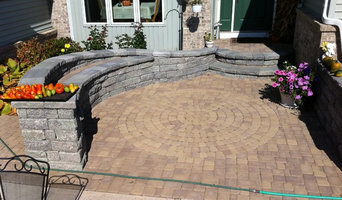 Signature Outdoor Concepts is a complete landscape design and construction firm. Based in West Michigan, our holistic approach to design creates a subtle transition from the interior space to the outdoor living space, complimenting not only your lifestyle, but also respecting the architecture of your home. We pride ourselves on our creativity in the design process and attention to detail in construction. Signature has become known for cutting-edge pool and spa design. We offer our clients complete implementation of their unique pool project; from initial concept, through installation ending with project completion. Our clients appreciate the ease of dealing with one company for their entire outdoor project. Each project – no matter how small or large – is handled with the utmost level of integrity and professionalism, constructed with the highest quality of materials, and designed with un-paralleled creativity. 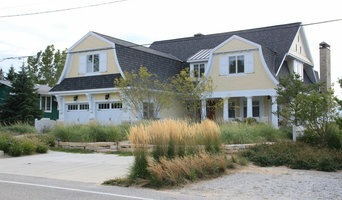 Signature Outdoor Concepts is like no other landscape design/construction company in West Michigan. Nor are we like any other pool company in West Michigan. We are able to offer our clients the best of both industries, without the hassle of dealing with numerous contracts and multiple contractors. Since 1999, Signature has continued to build a reputation of dedicated, customer satisfaction. Each crew utilized by Signature hosts more than 20 years of construction experience. When you have a well-designed swimming pool installed, it can turn your backyard into an elegant oasis. When adding lush waterfalls, vanishing edges, and other unique, custom amenities, a pool can serve as a relaxing and inviting outdoor living space. 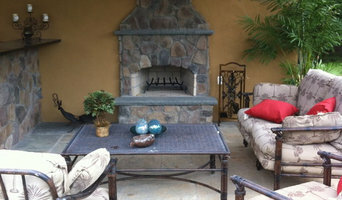 Enjoying your outdoor living space and having a piece of art to admire is our objective. Apex Landscape has the expertise in designing and building timeless and sustainable custom pools. We take into consideration the architecture of your home, your natural surroundings and your personal taste to develop the ideal concept to fit your needs and wants. It is our goal to provide you with every detail to make your project run seamlessly. We do not leave anything out of our budget study so that you do not have surprises at the end of your project. Over 15 years of proven design principles demonstrate why we are the best choice when it comes to choosing a pool design and construction company. We are a full-service pool company for all in-ground pools. We offer new pool installations, in-ground pool service, pool supplies, and chemicals. Founded in 1983, Naylor Landscape Management provides full-service property management, landscape design and installation for residential and commercial clients in Kalamazoo, Portage, Mattawan, Richland, Michigan and surrounding area. Artemis Design provides landscape design services for homeowners or business owners. Services include on-site consultations to review options and specific requests. After the first meeting, a landscape plan will be drawn up specific to the requests made during the initial consultation. Once the landscape project is started, Artemis Design will manage landscape crews and oversee hardscape layouts and planting details. Walden Design is a landscape design/build company located in Rockford, MI that services the West Michigan area. Kantor Bilt Construction will provide you with a custom design and distinctive style for your outdoor living space. By combining the best design elements, along with technical expertise and an owner hands-on approach with a skilled staff, we build our pools and backyards to provide our clients with years of enjoyment. Our Story Our name Walden Design was inspired by Henry David Thoreau and his book Walden. Thoreau wrote Walden as an account of two years he lived in the woods near Concord, Massachusetts on Walden Pond. There be built his own cabin, raised his own food to live simply. He wanted to be free from the distractions of ordinary life. At Walden Pond, he observed nature and lived in harmony with his environment around him. As a landscape designer, my design philosophy is similar to Thoreau’s, we observe nature to get our inspiration for our designs. Our designs are a visual cohesive blend of nature, clients lifestyles, nature and the environment around. Owners Background My love of landscaping began when I was young. In my middle school autobiography, wrote “At 25 I would like to get a degree as a landscape engineer. I would like to own my own business...” I guess my love of landscaping started when I was young. When I was young I use my parent's lawn tractor and trailer to do various landscape projects around the yard. I would haul around topsoil, mulch, plants,and rocks and add new planting beds, retaining walls, ponds,and waterfalls. My first job, when I turned 16, was at a nursery, where I also met my future wife, and I have been in the green industry ever since. I enjoyed it so much that I decided to make it a career and attend Michigan State’s Landscape Design, Construction, and Management program. I really enjoyed school and learning more in-depth about plants, design and other landscaping.